If you have found yourself on this page, it is most likely because you are feeling a bit…. Bloated from the holiday season? Way past bloat and onto an extra 5 pounds of glorious holiday weight weighing you down? Tired? Self-sabotaging? Living out of alignment with your goals? Cutest angels in the World but my goodness…am I exhausted! Mmmhmmm…that sounds about right for this time of year. With the new year comes stunning lights, lots of holiday cheer and hubby, but what nobody ever talks about is all the crap to go along with it. The never-ending cycle of processed foods coming in and out of your house, your inability to say no to these foods (you tried the first 50 times but come on now), the exhausting work it takes just to get your children (or even just yourself) out of the house to do all of the things that are “required” to do in this 2 week period where people are running around like they just lost their bananas?? It’s just a lot! When January 1st has come and gone, the holidays are finally over for quite some time and that is (in my opinion) one of the most beautiful times of the year. This is the time to slow down, wind down, relax, soak in all of the blessing of the previous year and move on. This is the time to reset. Not to just reset your processed food craving or reset your scale back to its original weight of December 20th, but a time to reset your mind. This is what the 14-day reset is all about. I am here to guide you through the next 2 weeks to make 2019 the best year ever in terms of not just physical health but of mental. I struggled for years with eating disorders, self-sabotaging, manipulative people in my inner circle, and so much more. I made it out of hell and came out shining like I never dreamed. I learned to love myself through small steps of healing past trauma, healing my heart and giving myself time to do so. I healed my wounds through the tender care that I would use to heal the wounds of my children. This reset will take us deep into the inner struggles that many of us face as women, mothers, wives, sisters, and human beings. We deserve to love ourselves beyond all else. 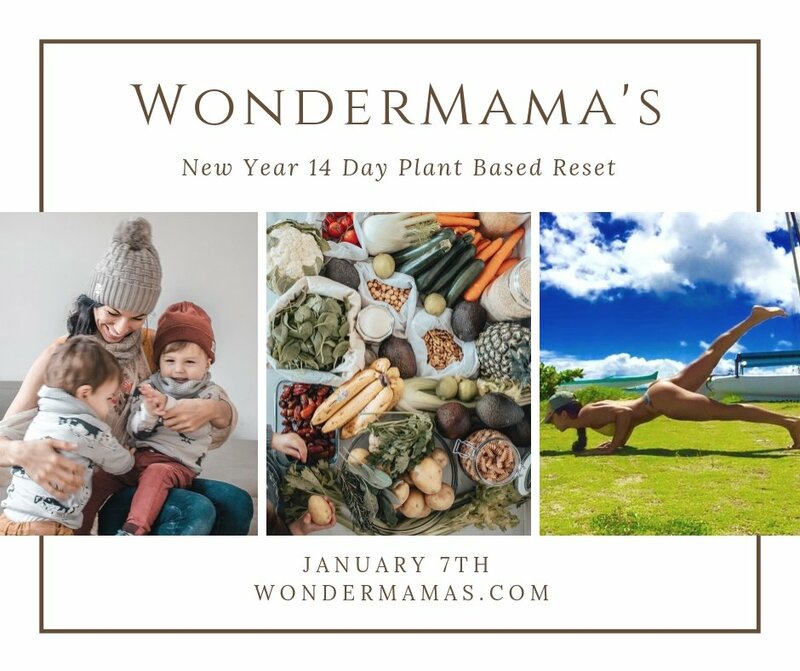 Fully Loaded E-book : This ebook contains all of the recipes needed for your 14 day reset challenge, shopping lists to take with you on your shopping journey, batch cooking options (of course), and more. Join the Challenge for Only $29.99! I cannot wait to start! Last year was SO amazing and I am so ready to start again!